After much wait, Mahindra & Mahindra has launched the Mahindra Quanto aka Mahindra Xylo Mini and it was so interesting to see how aggressively Mahindra priced the car against the competition. Since Mahindra has managed to develop a fairly sized 7 seater SUV that too under 4 meters, the most obvious car for which it could prove to be a threat, has to be the Maruti Ertiga. Ertiga is also a 7 seater MPV which is targeted at customers looking for more space and occasionally carrying 7 people in the car. In this article, we do a detailed comparison of Mahindra Quanto Vs Maruti Ertiga. Looks really matter and it is one of the most important departments. Does the Quanto have the looks we are looking for Honestly speaking, there is nothing that amazes us. It completely resembles the Mahindra Xylo MPV from the front and even the rear looks like it has suffered hammer blows, though the spare wheel at the rear does help it look a little better and sportier. Another disappointing thing is the size of the wheels, which certainly do not go with the proportions of the car. But the tail lamps, partially operable quarter glasses do make it look pleasing. The Ertiga is also features a carryover design (from Ritz) but Maruti has done really well with the overall design. It looks big and feels good in terms of quality of well. The Ertiga looks more like an MPV, than an SUV and therefore it has a different appeal as against Quanto. Since the Quanto was specifically designed to be positioned in the sub-4 meter category, the Ertiga is significantly longer. But the width and height and wheelbase of the Quanto is better than the Ertiga. 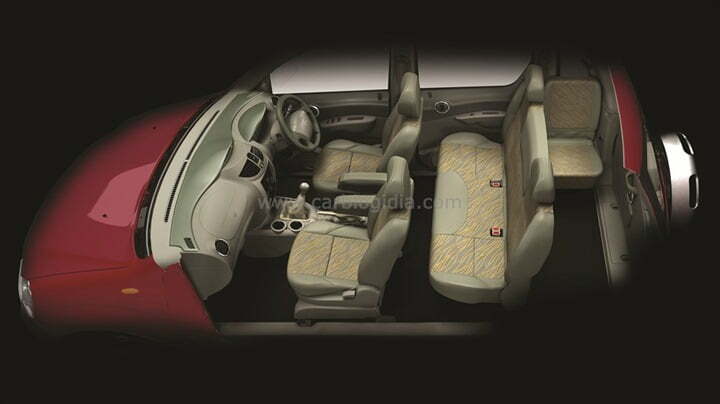 Mahindra Quanto looks familiar from inside too, as the components have been derived from Xylo. The fit, finish and design is not even close to Ertiga, but it still pleasant. Features list include blackened pillars, flexible 5+2 seating , granite theme dashboard, armrest for driver and passenger, foldable snack trays at rear seats, digital driver assistance system as seen on Xylo, ABS and EBD, Dual airbags at front, reverse parking assist features, rear defogger, power steering and air conditioning, etc. The strongest points of the Xylo are the massive cabin space and a highly commanding driving position. Although we have said it plenty of times, but we are going to say it again that Ertiga’s interior is top notch both in terms of quality and features. It feels elegant and has good fit and finish. 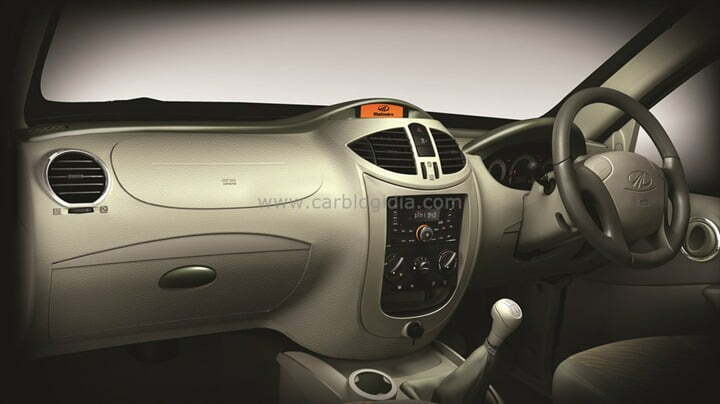 Features offered with the car include ABS (LDI only), Manual AC, Engine Immobilizer, Power Steering, Internally adjustable ORVM (Manual), Accessory Socket, 60/40 Spilt seats (2nd Row seats with seat slide), Tilt Steering, Retractable cup holder, Body coloured bumpers, Low fuel warning lamp, Door Lock canceller(front), Twin AC, Security alarm system (Door+ Hood), Tachometer, Front Fog Lamp, Audio+CD+USB, Speakers(FRX2+RRX2), Seat back pocket(Co-driver side), Rear Centre Armrest(w/o cup holder), Front & Rear Power windows, Driver ‘s side power window auto down, Coloured outside door handles & ORVM, Remote Keyless entry, ORVM Mounted turn indicators etc. In Power and Torque both, the Quanto’s engine is quite better than Ertiga’s engine. There is a difference of 10 BHP in power and 40 Nm in torque. However the fuel efficiency of Ertiga is significantly better. Performance and handling is one of the strongest areas of Ertiga. The suspension is good and to an extent, the car handles really well. Although Quanto has more power and torque, the unfriendly dimensions of the car impart too much body roll. It is quite tall and has small wheels which would possibly not be in favor of the car. Power to weight ratio of Ertiga is better than the Quanto meaning it sprints faster than the latter. As we can see the Quanto will be offered in 4 diesel variants whereas the Ertiga in three variants. As I had mentioned in the starting, Mahindra has priced the car way too aggressively. The first three variants of Quanto; C2, C4 and C6 are priced at 5.99 lakhs, 6.53 lakhs and 7.03 lakhs respectively and interestingly they are still cheaper than the base Ertiga LDI priced at 7.3 lakhs. In fact the top end Quanto C8 is priced at 7.57 lakhs, just Rs.27,000 more than the base Ertiga. If the cars are compared in terms of features, the Quanto and Ertiga are at par in the base variants but the top end Ertiga offers better features such as steering mounted audio controls, roof mounted AC blower for rear passengers etc. Quanto is relatively cheaper, offers less features but massive space, though the design and quality of the car isn’t as appealing as Ertiga. Contrastingly the Ertiga feels in shape, is significantly more efficient, and has much better interiors and build quality. So the verdict is quite simple. If you are an price conscious buyer on a budget and you to get more space and seating at lesser price, then Quanto should be on your list. But if you have some more money to spare and want a car that looks good, feels good and most importantly returns good mileage then the Ertiga is a great buy.